I'm a really big fan of Sophia Bennett. I absolutely loved Threads and especially The Look. I've been really looking forward to reading more by her. And doesn't You Don't Know Me sound wonderful? 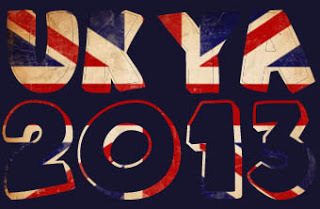 You Don't Know Me is being published by Chicken House on 2nd May, look out for it, will you? It was all so good. Sasha and Rose. Best friends in a band, singing together. Right up to the finals of Killer Act when the judges tell them one of them must go. Suddenly their friendship is put to the ultimate test. On TV in front of millions. Two girls. One huge mistake. Can they ever forgive each other? This one does sound really good. I like the concept, it's a little different to the other books out there, which is great. Thanks for the introduction! This sounds amazing, am adding to my Goodreads now! 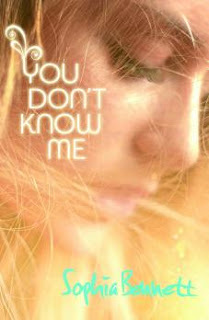 Sophia Bennett, and I seriously can't wait for You Don't Know Me. If it's anything like the Threads trilogy or The Look, we will definitely fall in love! I love the sound of this and loved The Look so I'm really looking forward to its release. Great choice!